The greatness of writing–and the power of a word–is measured by how well that word (and, when I say “word,” I mean it metaphorically as a body of work or writing) defies other words. A meaningful word lingers and lasts; it pierces or inspires. A powerful word bears fruit, sometimes violently or without regard to our sensibilities. The Bible says that God’s word, which has the power to create and destroy and shape, does not come back void. It defies competing narratives. My favorite writers have accomplished this feat in their writing. 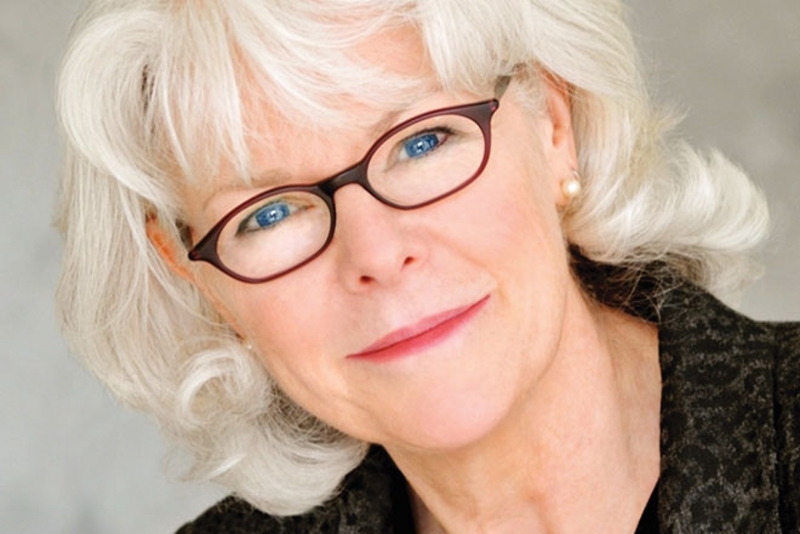 Among them is Barbara Brown Taylor, the Episcopal priest turned writer and spiritual guide. Her books, namely Leaving Church and An Altar in the World, have impacted me with a word that lasts, that refuses to come back void. Her writing resonates. It spelunks in the heart. It is like a sonar that sends signals to map an unknown landscape, that penetrates the soul to lay out a geography of the spiritual life. Other authors have had this powerful sway over me–Annie Dillard and Henri Nouwen stand out. They write in a way in which the writing itself is a spiritual exercise. They do not write about something so much as write from within that experience of the thing itself. Like mystics of old, their writing–that slow, often time painful process of putting one word in front of another, and one sentence upon the other– is the spiritual experience itself. I have reflected on my preaching as a result of this lesson. When I preach, do I merely talk about God, or do I express my experience of God? Some say you can do both, but I am not so sure. I hear many sermons about God; but few have the courage or prophetic power to preach from within the experience. This morning I read Ezekiel 4. God asked Ezekiel to act out a prophetic word of judgment against Israel and Judah by making a clay tablet picture of the city under siege. God told him to lie on his side every day for over a year. When God told Ezekiel to eat a scroll the chapter before, it wasn’t just to regurgitate it, it was to feast on it, find nourishment, embody it, and take on its physical presence. No wonder that John says that when God visited us in the person of Jesus, it was God’s creative Word taking on flesh. I think this is why Taylor’s writing is so poignant. It comes from two avenues of experience–the author as artist, and the preacher as homiletician. Taylor has taught both subjects — from her full-time work at Piedmont College in the north Georgia foothills, to her adjunct work teaching preaching at Emory University and elsewhere in the urban milieu of Atlanta. I am going to a conference next week to see her give a presentation on “How I Have Changed my Mind About Preaching” at Mercer University. I am bringing her latest book, Learning to Walk in the Dark to get her signature. I look forward to receiving God’s word from her yet again. We writers have a bad habit of trying to mimic our favorite authors. Rarely does this work out; it comes off as phony or insincere. I did this once. I wanted to write like Taylor–pen and paper in hand, I wanted to hand-write my next book like she does her own. And I wanted to write like Dillard–not merely talk about something, but write poetic prose that penetrates the very thing in my experiences of it. I tried this (spiritual) practice–mainly at the beach. I brought my spiral notebook and my mechanical pencil. I sat for long periods of time watching the waves and my children looking for seashells, trying to craft each sentence with love, care, and wonder. I paused, watched the hasty activity and listened to the conversation of the sandpipers so ubiquitous on our coast. And I wrote. I wrote for about a dozen or so pages on different topics over the course of a month– on fatherhood, spirituality, vocation, ministry. Then, I fizzled out. It didn’t sound right, it didn’t feel right, and it was not even worth transferring the material into my journal. I buried the notebook in one of my desk drawers at home. I pull it out sometimes if I need paper to write a sermon, otherwise it remains hidden. Powerful words are such because they do defy other words. Writers know the hardships of having so many words–too many, in fact–fall to the ground, shrivel and die. Yet, there are those beautiful moments–in an article or a sermon that sounds just right, when the word goes out and never returns. It spreads its wings and leaves the nest, and finds its way into someone else’s heart to build a nest there and give birth to something new. It is beautiful, like Taylor’s and Dillard’s writing; but it is a rare word indeed. Most of the time, our words remain hidden in our desk. I got more copies of my book A Whispering Call to sell around town. I haven’t been in possession of the final draft in a while, so, upon receipt, I started to read it. There is something about reading your work months after you wrote it that makes you pause–there is a great deal of self-doubt, and you wonder whether the final copy is any good. I read the first page of the introduction, and I was stuck. The transition from the first two paragraphs to the third was awkward. I read it again, and I tried to get into where my head was months ago: What was I thinking when I segued from one paragraph to the other? A long time ago, someone told me it was hard for her to follow my sermons. I lost her, she said, when I was transitioning from one subject to the next. She said that my transitions left people behind or confused. Although I dealt with that issue over time (it was a valid critique), it seems that some of my writing still carries that burden. I decided that my writing was just fine, and it hit me: I have to own my writing. I have to take responsibility for my idiosyncrasies and trust in the work. Ernest Hemingway inspired me in this. I am currently reading A Farewell to Arms, and its been a while since I’ve read Hemingway. His writing is unique–its short, brisk, and choppy. At times he is repetitive. He doesn’t fill in all the gaps, and his dialogue communicates basic information. On the back of the book’s dustcover, it boasts that Hemingway “did more to change the style of English prose than any other writer in the twentieth century.” He was, of course, a Pultizer winner for The Old Man and the Sea. I wonder if Hemingway doubted his writing. I wonder if he thought, “I hope people don’t think I write like a fifth-grader.” But fans of his work will quickly note that, as concise as he may be, he communicates an entire vista within just a short economy of words. He is amazing, and I like to think that he was unapologetic for his unique writing style. He owned his writing. My reflections on writing conjured the works of other off-beat authors. Annie Dillard comes to mind–she is downright difficult to read, but oh! how she makes for majestic reading! The first time I picked up Frank McCourt, with his long run-on sentences and lack of quotation marks, it was almost the last time I picked it up–not because it wasn’t good, but because I couldn’t put it down! Preachers also tend to have their own style–the good ones, at least. The late Fred Craddock is probably the most famous idiosyncratic preacher. When he preached you forget that he was preaching, and by the time he finished (and he finishes whenever he wants), you think you’ve had a conversation with a best friend. Brett Younger, pastor of Plymouth Church in Brooklyn (and one of my old professors), is also unique. He weaves together comedy and tragedy and sacred text in ways that few can emulate. Then there is Joel Osteen. I don’t care what you think of his theology, but the man is an amazing storyteller. Whenever I listen to him on XM radio, I feel better, like all is well with the world. So take ownership of your writing. No one is going to express what you need to say for you, and your silence may disenfranchise the world. It may need another point of light in the darkness, so shine brightly for others to see. Don’t mimic voices of others, come up with your own. Take responsibility for your writing. As long as you follow the basics in grammar, you should be fine–and empowered to keep on keeping on.